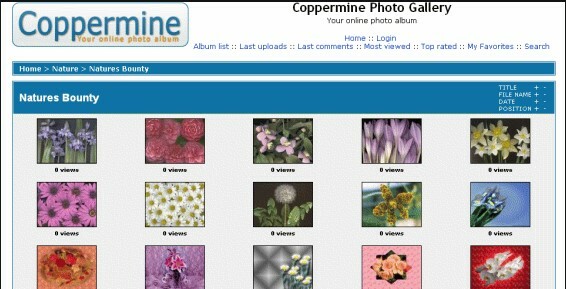 Coppermine Photo Gallery is a popular photo gallery in Russian. It has great functionality. It uses ImageMagick or the GD graphic library to work with graphics. A huge number of functions, such as user registration, private galleries, automatic creation of images, etc., makes managing the gallery as simple and convenient as possible. Photo Gallery Coppermine Photo Gallery integrates with many popular packages including e107, Invision Power Board, Joomla !, Mambo, phpBB, PostNuke, PunBB, Simple Machines Forum, vBulletin, Woltlab Burning Board and YaBB SE.